The IWI Tavor SAR 9mm Kit Features a closed rotating bolt, long stroke gas piston, Steel Magazine (32 Round), and a 17-inch barrel. Such a great kit to have specialy when it comes to instruction and training. Here with the 9mm conversation kit for the Tavor. Special thanks to GrabAGun from Miami Gun Classes. Excellent OEM quality conversion kit. Excellent OEM product. GAG had the best price I could find on the web. packaged well in a double box. Factory sealed/packaged kit. The steel componants are coated in some preservative like or similar to cosmolene. Be sure to hose the bolt and carrier down real good with either spray brake cleaner or carburater cleaner to melt that gunk away. It was preventing free movement of my firing pin and causing light primer strikes. Once cleaned and lubed it has performed flawlessly ever since. I love my OD Tavor in 9mm. Also be sure to get extra mags and the Maglula for "Colt SMG mags". It works perfect on IWI 32rd stick mags and will save your thumbs big time! Fast shipping at a very fair rate. Would buy again. Will buy from Grab-a-gun again in future. Excellent OEM product. GAG had the best price I could find on the web. packaged well in a double box. Factory sealed/packaged kit. Fast shipping at a very fair rate. Would buy again. Will buy from Grab-a-gun again in future. The Tavor SAR is uniquely convertible from 5.56 NATO to 9mm Luger Parabellum (9x19mm). 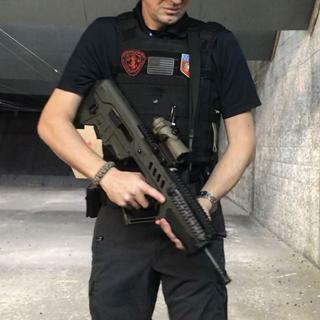 Please note this kit only works with the Tavor SAR.